A book like this is in and of itself dated, since it has almanac information in it, with calendars and moon phase information to allow practitioner to know just when they need to schedule the various holy days and celebrations well in advance of the date they fall on. But just because this is true does not mean that this book is not useful after the year is over. The articles in here are many and very useful. 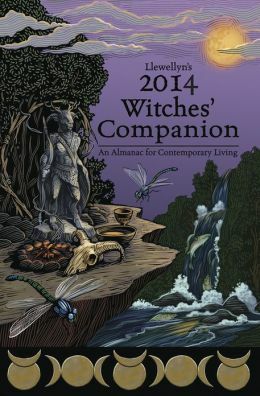 Not only is there information on being a better pagan, but there's almost an index about life as a witch and living as one in harmony with life. I found many articles of use and want to keep this book and study it in the future. I am going to keep this book around for a long time. This is just a small sample of the articles available, but all of them are relevant to now and will continue to be relevant for many years to come. I give this book four and a half stars of five, the half star being simply that the calendar will be of little use after 2014. Everything else will continue to be something that is relevant and useful for decades to come.